Lace isn’t just for shawls and your grandmother’s curtains! Over the past few years beautiful, colourful laces have exploded on to the catwalk and are now worn by everyone from movie stars to fashion bloggers. Lace is a beautiful, versatile fabric and the only limit as to what you can make with it is your imagination. There are some ideas below about exactly what you can create with Empire Textiles’ luxurious West African laces. 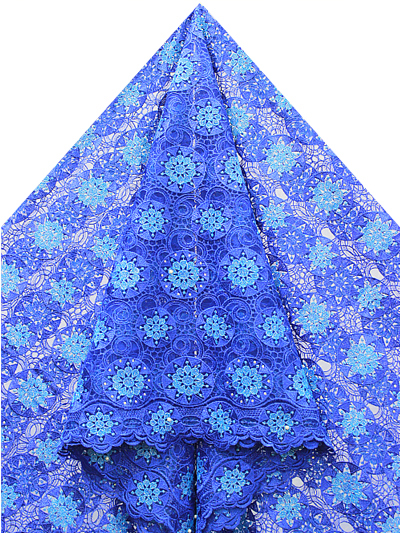 For the special occasion, it has to be Voile Lace. Soft and silky, Swiss Voile is perfect for wedding dresses. A wedding dress made from Empire Textiles’ white and gold big voile lace would look beautiful paired with simple white or gold shoes and a sprig of fresh flowers in your hair. For an eye catching formal dress, opt for a bright brocade lace print, such as the Getzner red green and gold. Wearing clothing made from a high quality West African fabric like this is sure to get you noticed and make your evening one to remember. Lace isn’t just for special occasions; it can be incorporated into every day wear as well. A pencil skirt using grey Guipure lace is perfect for the office and will look beautiful paired with a crisp white shirt and black patent heels. 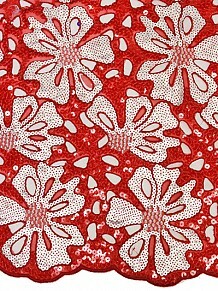 Mitex Holland Lace Wax fabric would make a great statement sundress for hot evenings spent in a beer garden with friends. Pair with neon statement heels or funky training shoes for a unique, catwalk inspired look. For our younger customers, polished cotton is a great fabric to make a dress with for prom. Lemon or aqua polished cotton will complement almost all skin tones and are dreams to wear, even after lots of dancing. Buy one of these fabrics for your dress and you are sure to be the belle of the ball, or at least the best dressed girl in school! Lace is a fantastic material with myriad uses. Hopefully this article has given you enough ideas and inspiration to create something beautiful out of lace for yourself.